Moles are a group of pigmented cells that appear anywhere on the body, either alone or in clusters. Although, majority of moles are absolutely harmless skin lesions but they can affect a person’s appearance from an aesthetic point of view. However in rare cases, moles can be cancerous. A person having a mole should get it checked if one notices any change in the color, height, shape or size of the mole or if it bleeds, oozes or becomes tender to touch. For treating regular moles, natural ingredients found in your home such as castor oil is more effective. 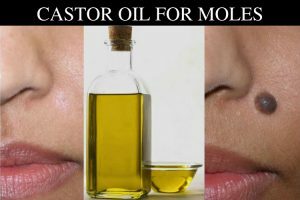 Is Castor Oil Effective for Removing Moles? Most of the skin benefits of castor oil are attributes to its content of a rare fatty acid known as Ricinoleic acid that functions as skin-conditioning agents. Castor oil is a discutient that causes dispersal of a pathological accumulation by dissolving the tissues and cells. It is readily absorbed through the skin which makes it a fast acting natural ingredient. One of the major causes of moles is sunburn and excessive sun exposure. Castor oil has a capacity to soothe the irritated sunburn and lighten the dark color of the moles. Some types of moles can develop as a result of fungal infection. Castor oil is a potent anti-bacterial and anti-fungal agent that helps to get rid of persistent fungal infection. How to Use Castor Oil for Moles Removal? Castor Oil has been used for years in traditional Ayurvedic medicine practices as a natural remedy for removing moles, skin tags and warts. It can be used alone or in combination with other natural ingredients. Castor oil alone can be used as an effective natural remedy for getting rid of moles. Take generous amount of castor oil in your palm. Apply it all over your moles. Massage the areas for a few minutes. Repeat this process twice daily till the moles vanish completely. Alternative Method: You can also soak a cotton pad in castor oil and place it over the moles. Secure the cotton pad with a wrap-around gauge. Open after 2 to 3 hours and discard the cotton pad. Baking soda or sodium bicarbonate possesses antibacterial, antifungal, antiseptic and anti-inflammatory properties that help to address moles caused by fungal infections. It also dries out the moles and shrinks its size. Combine 1 tablespoon of baking soda and 2 tablespoons of castor oil in a bowl. Apply it generously over the moles. Cover with a cotton gauge and leave it for several hours or overnight. Untie the gauge and wash off the area with water. Repeat this remedy once every day till the mole disappears completely. The highly acidic nature of apple cider vinegar along with its content of malic and tartaric acid dissolves the mole completely and removes it from the skin. Combine 1 teaspoon each of apple cider vinegar and castor oil in a bowl. Soak a cotton pad into it and wipe the moles with this cotton pad. Repeat this remedy 2 times a day till the mole is completely gone. Note: Alternatively, you can also apply this mixture on the moles using a clean Q-tip. The enzymes present in garlic breaks down the cluster of cells that develop into moles. Once the cluster is broken down, the skin cells spread out normally and the dark pigmentation also lightens with time. Apply some petroleum jelly or coconut oil around the mole to protect it from the harshness of the garlic. Crush 3 to 4 fresh garlic cloves and add 1 teaspoon of castor oil to it to make a paste. Apply this ointment on the moles and secure with a cotton pad and bandage. Leave it on for 4 to 5 hours. Remove the bandage before going to bed. Repeat this process once daily for 4 to 5 days. Note – Applying raw garlic to the skin may cause skin irritation and redness. Honey contains anti-bacterial and anti-fungal properties that help to cure moles and warts caused by fungal infections. It also speeds up the healing process. Take a teaspoon of raw, organic honey and add a few drops of castor oil to it. Apply this mixture to the moles and secure with a bandage. Wait for a few hours and then wash the area with water. Reapply this remedy 1 to 2 times daily for a few days. Tea tree oil is an effective cure for moles that works by drying it out from the root. As the mole begins to dry out, this shrinks in size and finally blends with the skin. Take a teaspoon each of tea tree oil and castor oil in a small glass bowl. Dip a clean q-tip in this mixture and hold it over the mole for 5 minutes. Repeat this remedy 2 to 3 times a day for a few weeks. Store the rest of the oil mixture for future use. The enzymes and citric acid in pineapple juice lightens the pigmentation that is responsible for causing moles. Take a tablespoon of fresh pineapple juice and add a teaspoon of castor oil to it. Soak a cotton ball into it and place it over your mole. Secure it with an adhesive bandage or tape. Repeat it 2 times a day for 2 weeks. Flaxseed oil is an effective natural healing ingredient that contains essential fatty acids which protect skin cell membranes. It also heals the moles by loosening them from the edges, so that they fall off after a few days of application. Mix 1 teaspoon each of flaxseed oil and castor oil in a bowl. Use a cotton ball to apply this mixture to the moles. Repeat the application at least 2 to 3 times a day till the mole falls off. Frankincense essential has potent astringent properties that help to remove moles layer by layer by drying them up from the root. Add a few drops of frankincense essential oil to 1 tablespoon of castor oil. Soak a cotton ball in this mixture and dab it on the mole and leave it on for a few hours. Repeat this remedy 2 to 3 times a day for few weeks. Note – Frankincense essential oil can cause scarring and skin irritation in people with sensitive skin. Stop using this remedy if you notice skin irritation. The high level of citric acids and salts present in grape fruit seed extract dissolves the cluster of cells and tissues that develop into moles and pigmentation. Add 3 to 4 drops of grape fruit seed extract to a tea spoon of castor oil. Apply this mixture generously over the moles and leave it on for several hours. Repeat this process 2 to 3 times a day for a few weeks. It is recommended to opt for cold-pressed pure castor oil as it contains maximum healthful properties. Topical application of castor oil is safe for most people, but those with a hypersensitivity to castor oil should refrain from using it. Although, consumption of castor oil is considered safe, but taking too much can cause diarrhea, cramping, nausea, etc. Pregnant woman should not consume castor oil because it has the capacity to induce labour. People with more than 100 moles on their body are at higher risk of skin cancer. They should to get the moles checked by a dermatologist. Apply a skin block with high SPF whenever you go out in the skin to prevent the growth and spread of moles. So, try out these remedies to get rid of your moles without causing any skin damage. If you know any natural remedy for mole removal that worked for you then please share it with us in the comments section. It is difficult for us to tell the time frame as everyone’s skin is different. So, try it regularly with some patience. However, you may observe improvement in few weeks. You don’t have to apply any bandage after the castor oil application. After applying the paste with castor oil on the mole, I have to cover it with the bandage? Or it can be open and next morning I can remove it by applying cold water? You can leave it. However, if you secure it with a bandage, the application doesn’t wear off. Does mixture of baking soda and castor oil affect badly on skin? No, it doesn’t have any severe side effects on skin. Can we store baking soda and castor oil… Or we mix it at the same time??? You have to make a fresh mixture every time. However, you can store any leftover and use it up within 1 – 2 days. I’ve been using castor oil and my reddish mole turned brown…Is this normal? Hi! Thank you for this post I’ve been trying to get rid of some moles naturally and without spending so much money, does this work also on flat moles/beauty marks? Yes, they work on flat moles and beauty marks as well. I have 15-20 small FLAT MOLES on my face which have worsen my beauty. I want to remove them please suggest the most effective solution for this. You can try 3, 6 or 9th method mentioned above in the article. Which combination is more effective for flat moles?? Both the remedies are effective in terms of treating flat moles. So, choose any one among them and try it regularly. If you are seeing any improvement even after it for a month then try the other combination. After using castor oil and baking soda on my flat mole for 5 days , its getting darker and bigger . What should i do???? Has it gone.. the mole?? I have 11moles on my face. And 2 twin mole r under my eye’s…. It looks so ugly. Which method I should do so that my moles will go away?? Does the mole removal process with castor oil and honey leave scars?? There is no study about that so how can you tell people it works motherfuckers ?!!! What sort age can use these remedies? My twelve year old has a small flat moles on her face. They appeared on her face when she was about 5 – 7 years old. 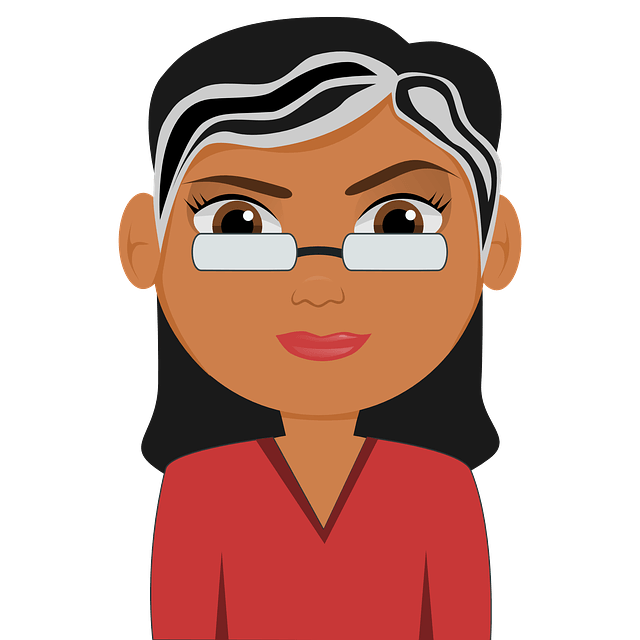 Hi thereI appreciate your posts about mole removal remedies. My comment is about the irritation, especially when using apple cider vinegar it should be the organic style that contains mother it looks really cloudy it will say it right on the bottle and they sell it pretty much everywhere now super markets pharmacies but my primary tipped is it can irritate your it will say it right on the bottle and they sell it pretty much everywhere now super markets pharmacies ACV is pretty strong and can irritate your skin and lighten it around the mole, which of course you don’t want to draw any more attention to, especially when you’re trying to heal and remove.